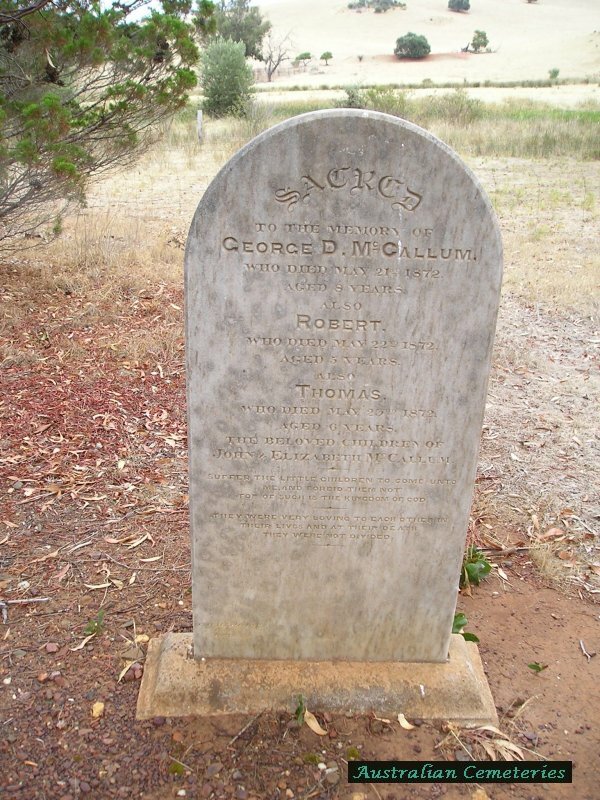 [21 Nov]1938 80 y [Widow of Thomas BRENNAND] Born 1858 Resident Koppio, place of death Tumby Bay. 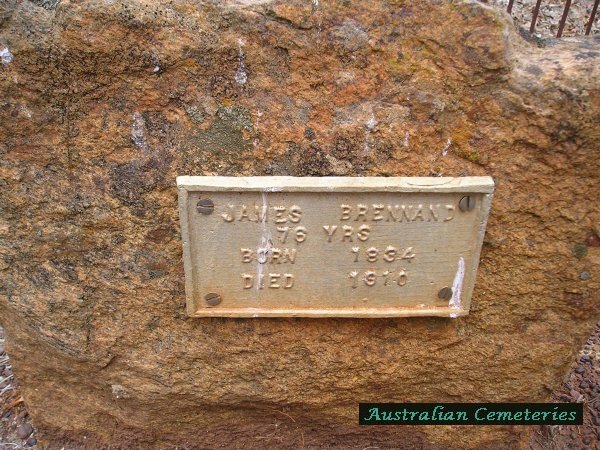 31 BRENNAND James [13 Nov] 1910 76 y Born 1834 Died 13-11-1910, aged 76, residence and place of death Koppio. 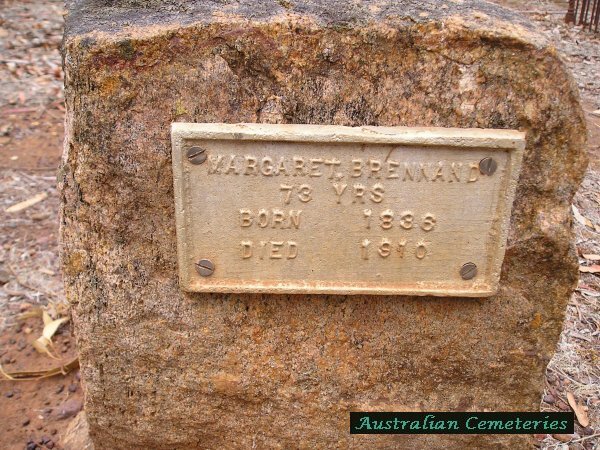 32 BRENNAND Margaret [13 Jun] 1910 73 y Born 1836 Died 13-6-1910, wife of James BRENNAND, residence and place of death Koppio. 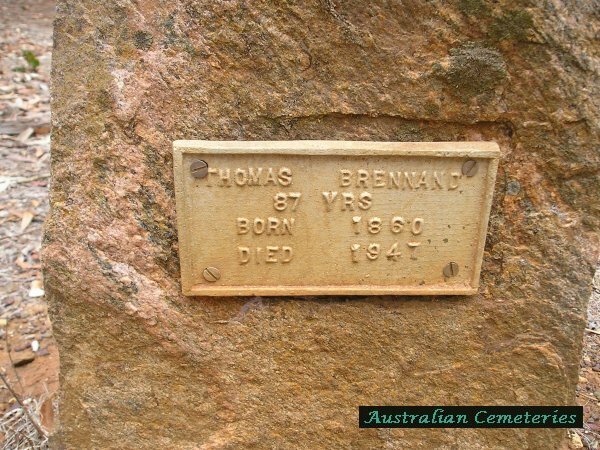 33 BRENNAND Thomas [11 Aug] 1947 87 y Born 1860 Widower, resident Koppio, place of death Tumby Bay. 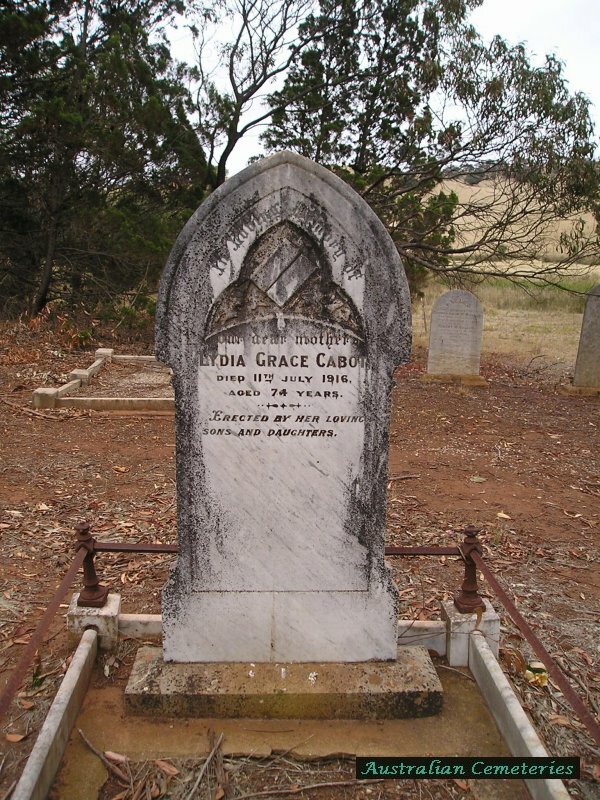 3 CABOT Lydia Grace 11-7-1916 74 y Erected by sons and daughters. 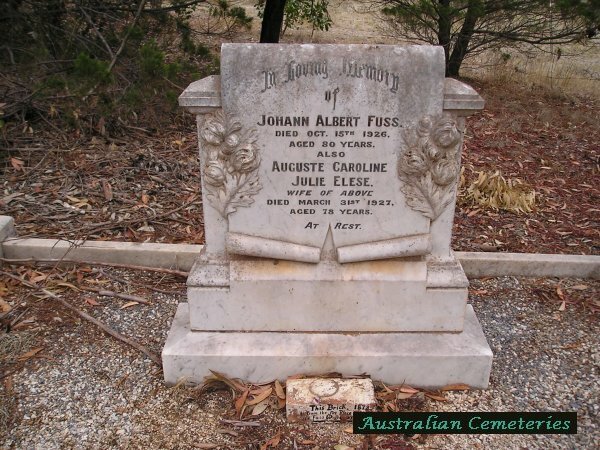 6 FUSS Auguste Caroline Julie Elese 31-3-1927 77 y Wife of Johann Albert. 29 GARDNER Blanche 6-12-1913 12 y Daughter of G & A GARDNER. 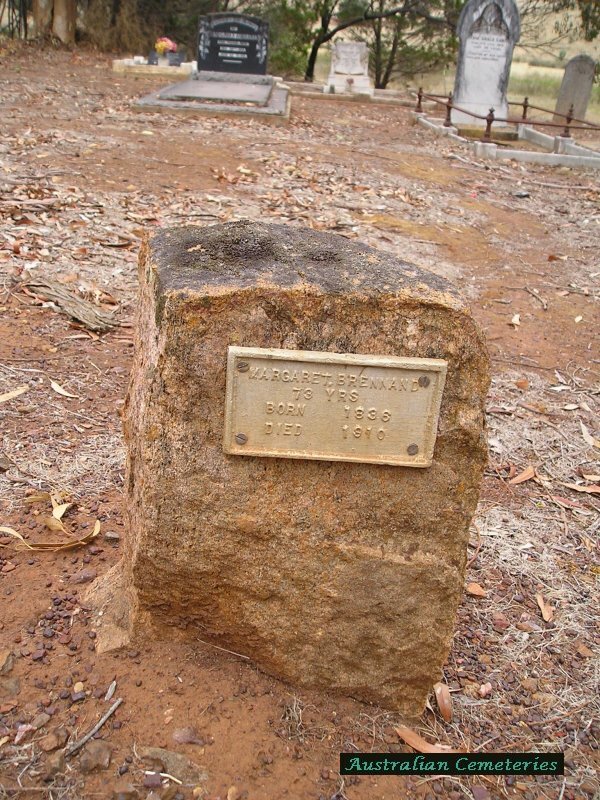 Daughter of George Byron GARDNER: resident Koppio, place of death Tumby Bay. 7 GILL Ella 3-8-1916 26 y Daughter of W C & L M GILL. 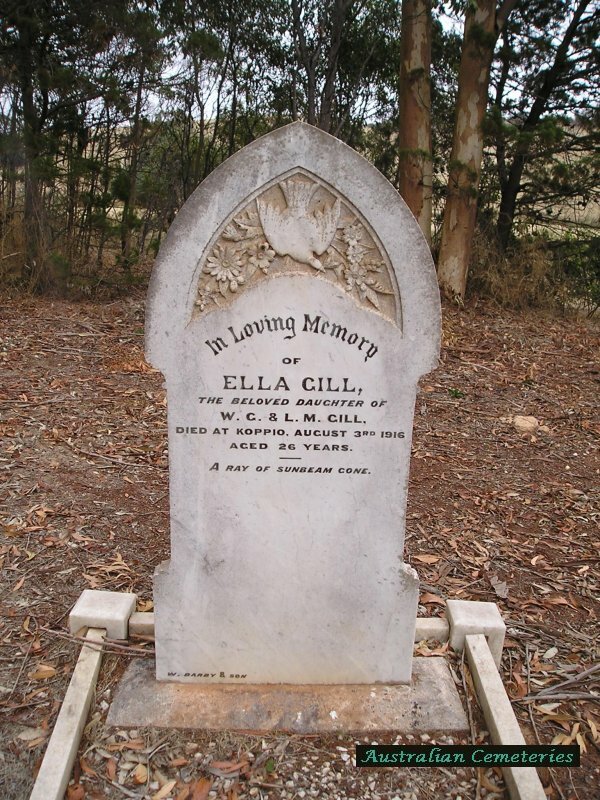 Death registered as Ella Priscilla Elizabeth GILL. 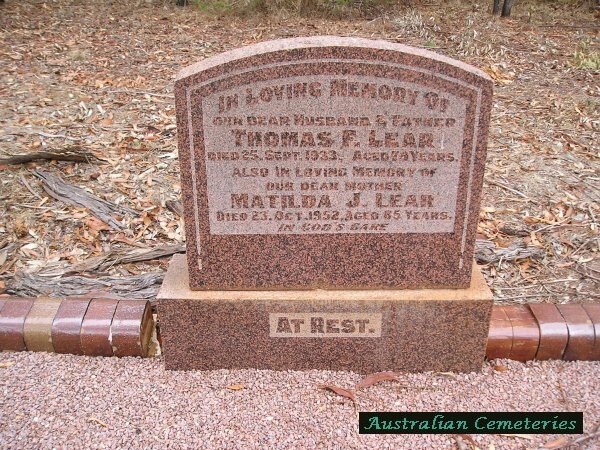 8 LEAR Matilda J 23-10-1952 85 y [Matilda Jane LEAR] Our mother. 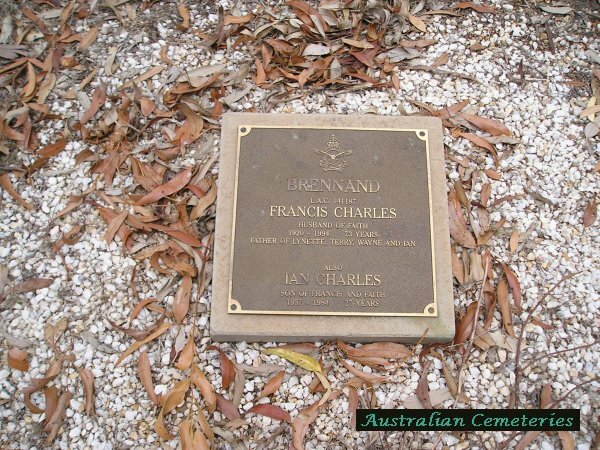 Residence and place of death Port Lincoln. 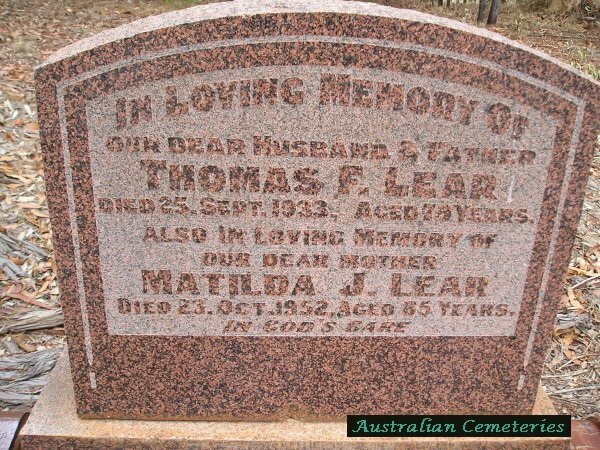 8 LEAR Thomas F 25-9-1933 79 y [Thomas Foster LEAR] Our husband and father. Death registered as 26-9-1933, residence and place of death Cummins. 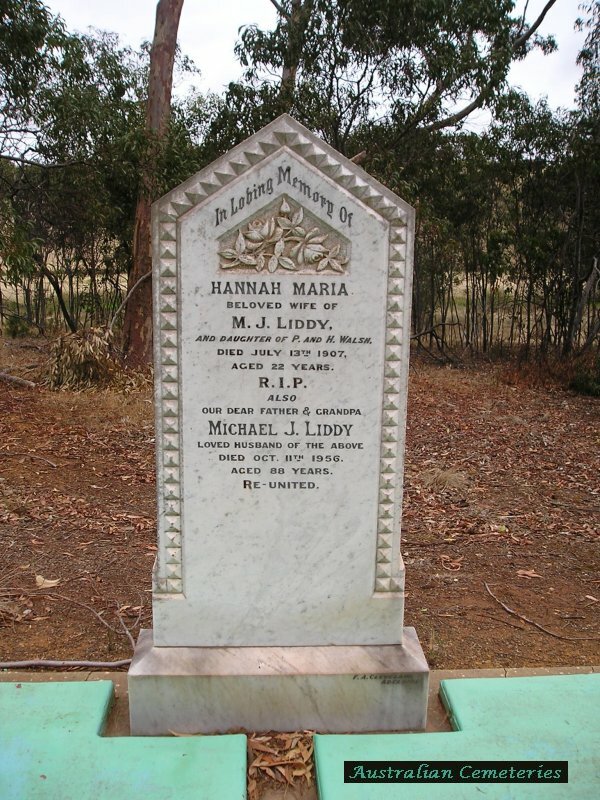 11 LIDDY Hannah Maria 13-7-1907 22 y Wife of M J LIDDY. 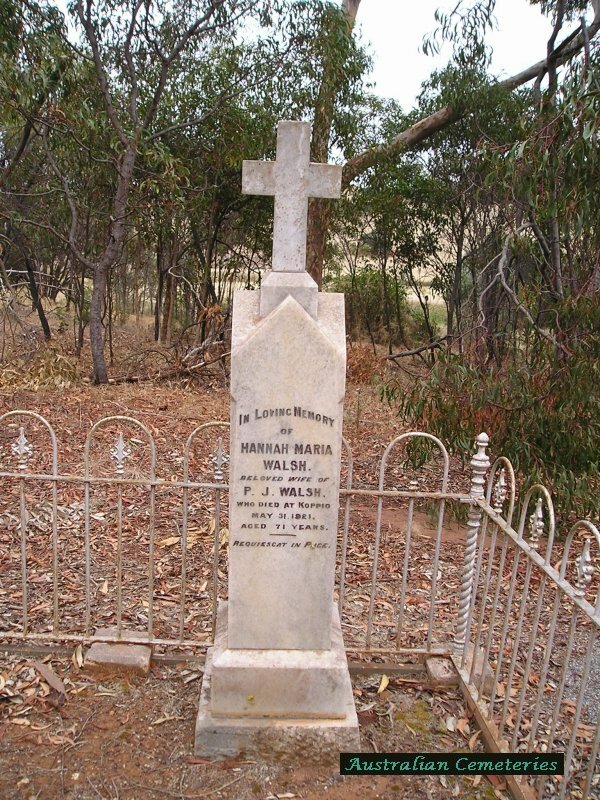 Daughter of P & J WALSH. 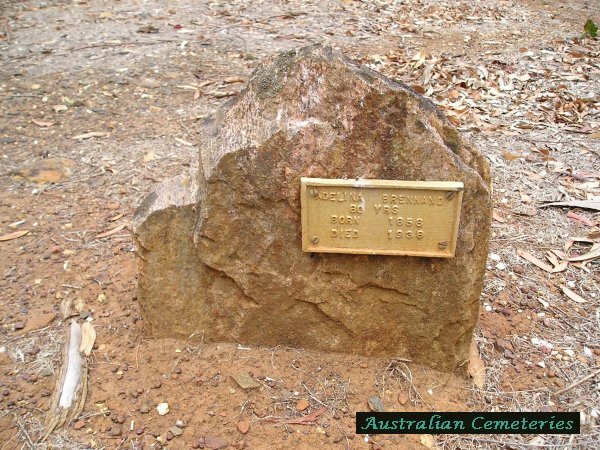 Death registered as 13-6-1907, residence and place of death Koppio. 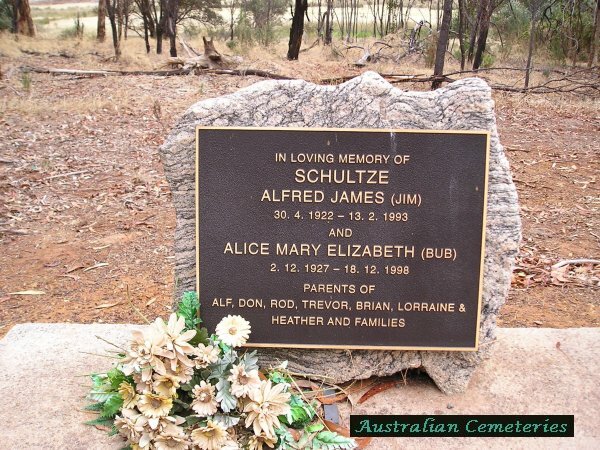 11 LIDDY Michael J 11-10-1956 88 y [Michael Joseph] Husband of Hannah Maria. Dear father and grandpa. 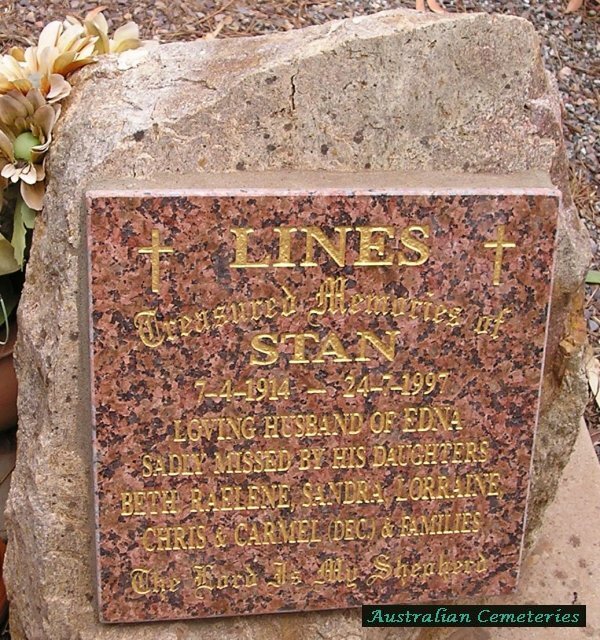 Residence and place of death Port Lincoln. 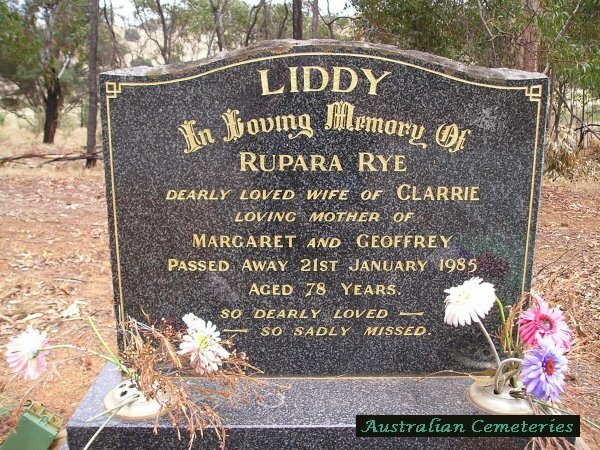 12 LIDDY Rupara Rye 21-1-1985 78 y Wife of Clarrie. 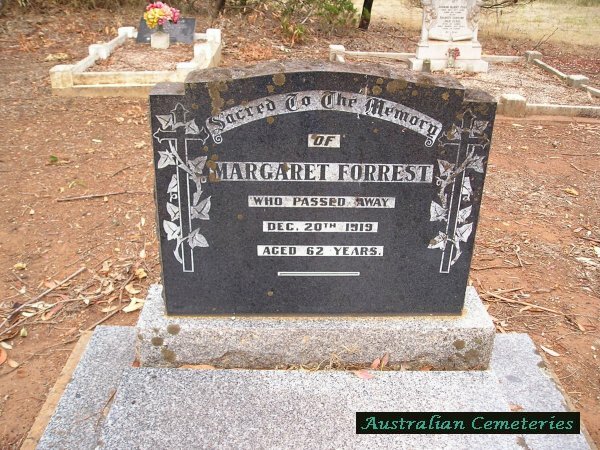 Mother of Margaret & Geoffrey. 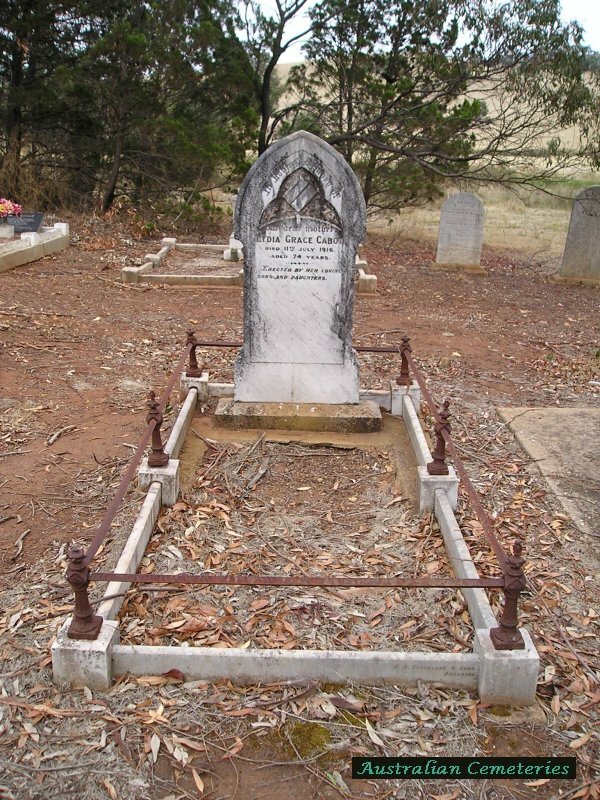 16 McCALLUM George D 21-5-1872 8 y Child of John & Elizabeth McCALLUM. 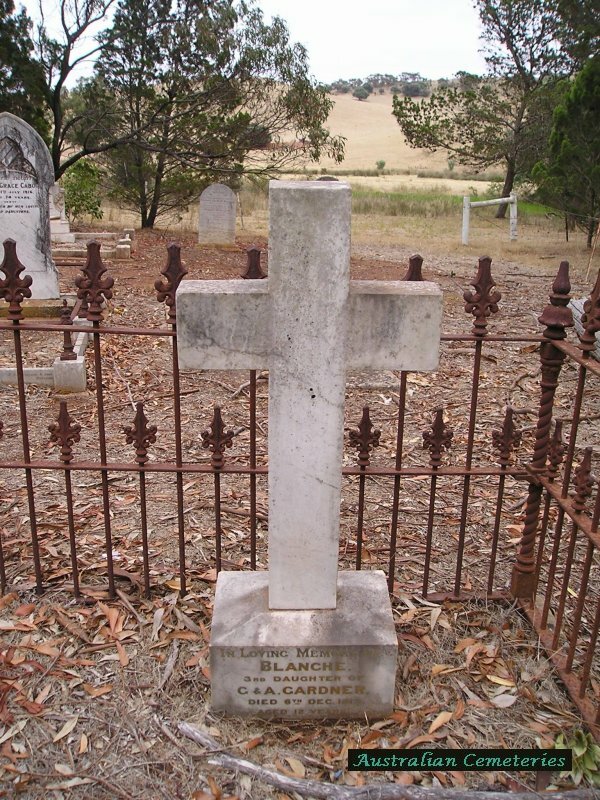 Death registered as MCCULLUM, 22-5-1872. Residence & place of death Kinmener. 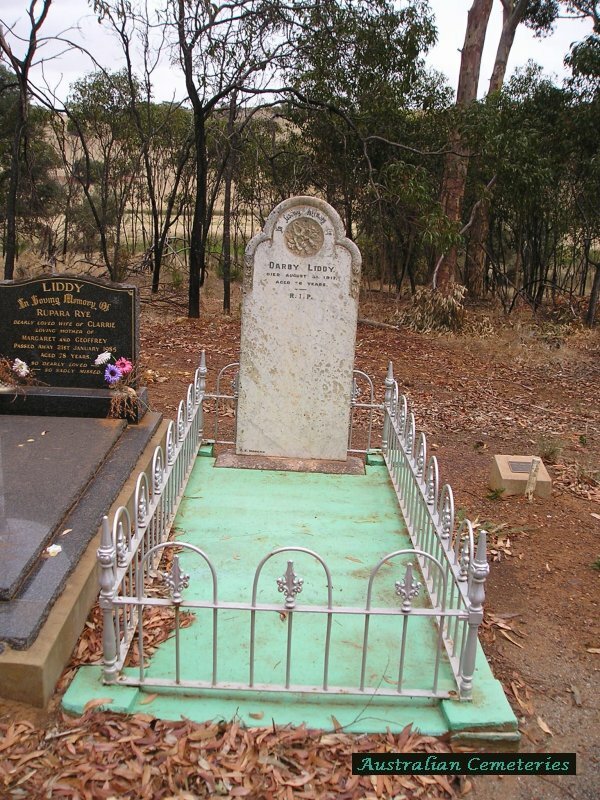 Sister, Annie, died at Pt Lincoln 28-5-1872, buried Happy Valley Pt Lincoln. 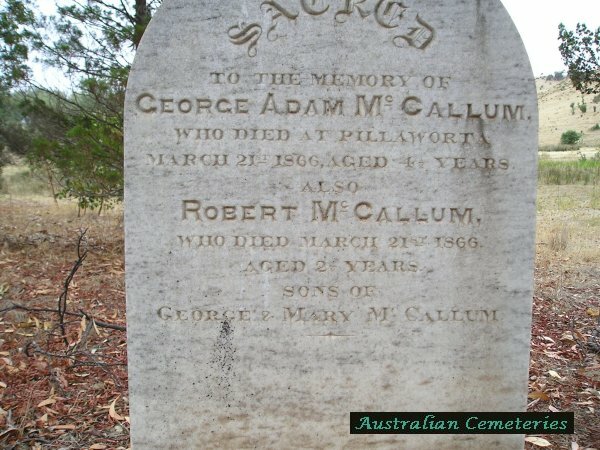 16 McCALLUM Robert 22-5-1872 5 y Child of John & Elizabeth McCALLUM. 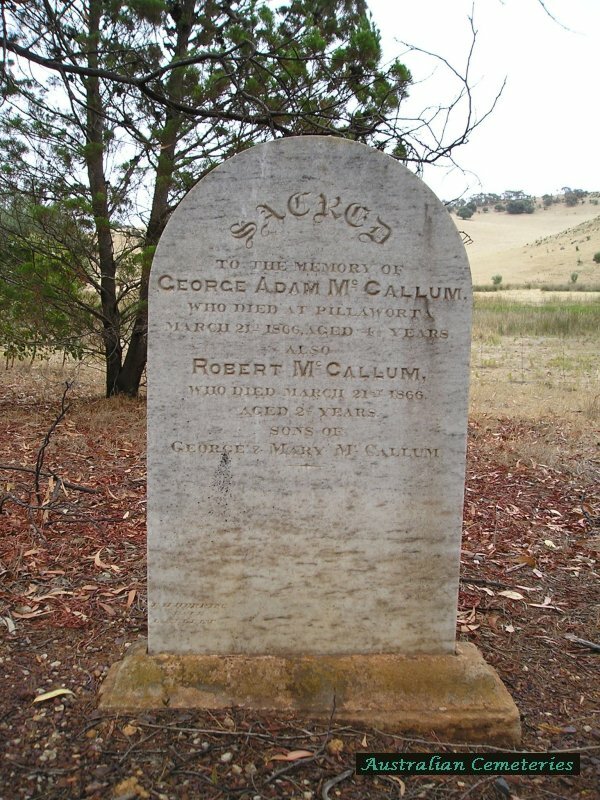 Death registered as MCCULLUM, 23-5-1872. 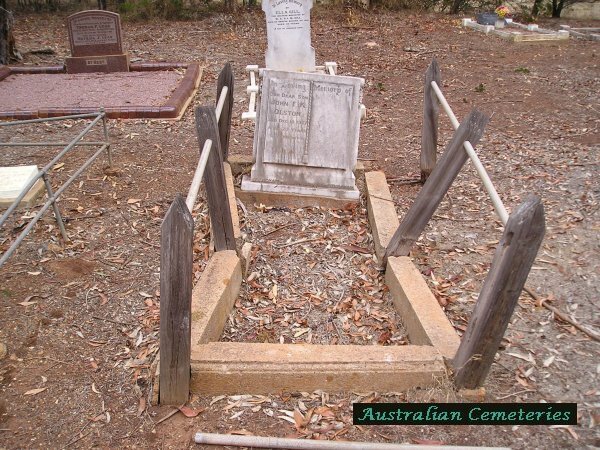 Residence & place of death Kinmener. 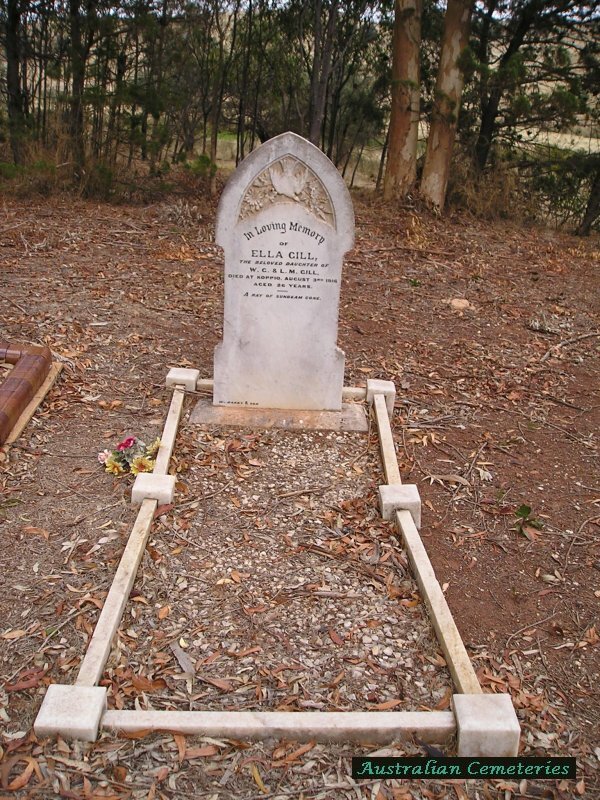 Sister, Annie, died 28-5-1872 at Pt Lincoln, buried Happy Valley Pt Lincoln. 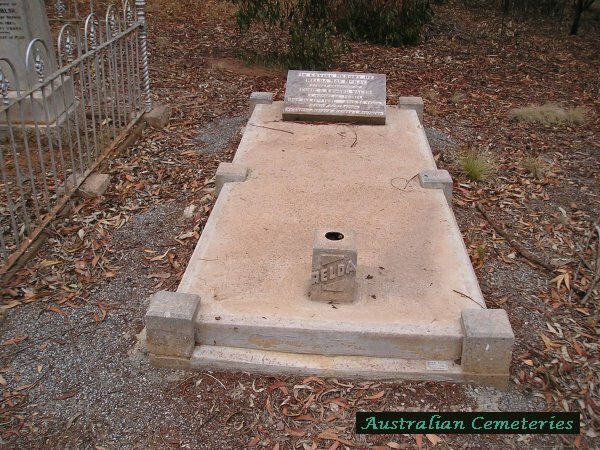 16 McCALLUM Thomas 23-5-1872 6 y Child of John & Elizabeth McCALLUM. Death registered as MCCULLUM. 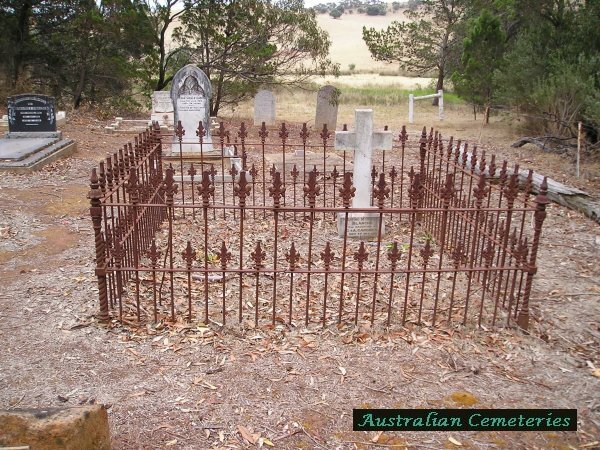 Residence & place of death Kinmener. 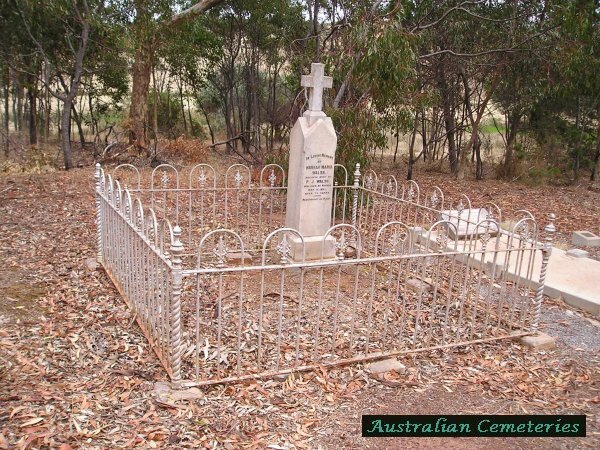 Sister, Annie, died 28-5-1872 at Pt Lincoln, buried Happy Valley Pt Lincoln. 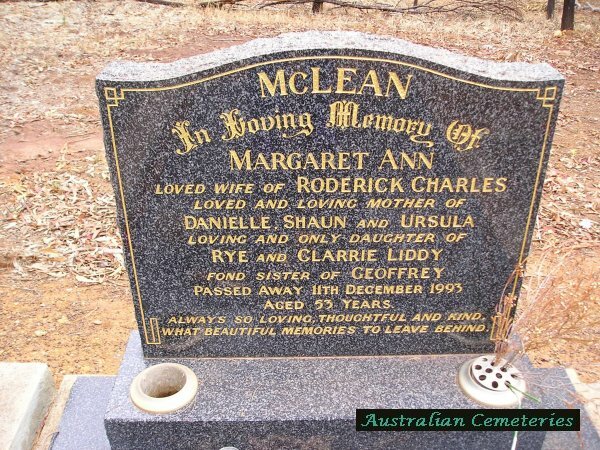 2 McLEAN Margaret Ann 11-12-1993 53 y Wife of Roderick Charles. 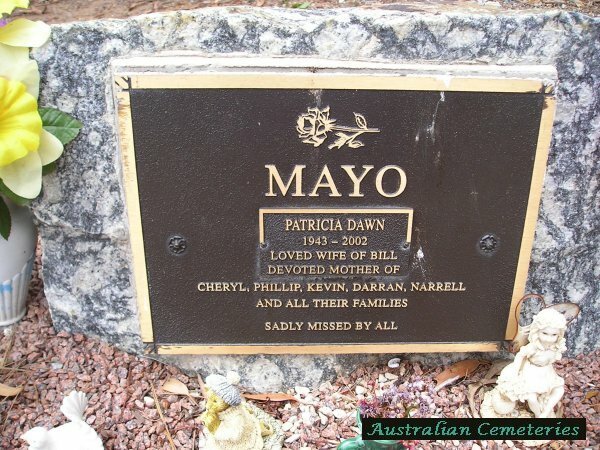 Mother of Danielle, Shaun, Ursula. 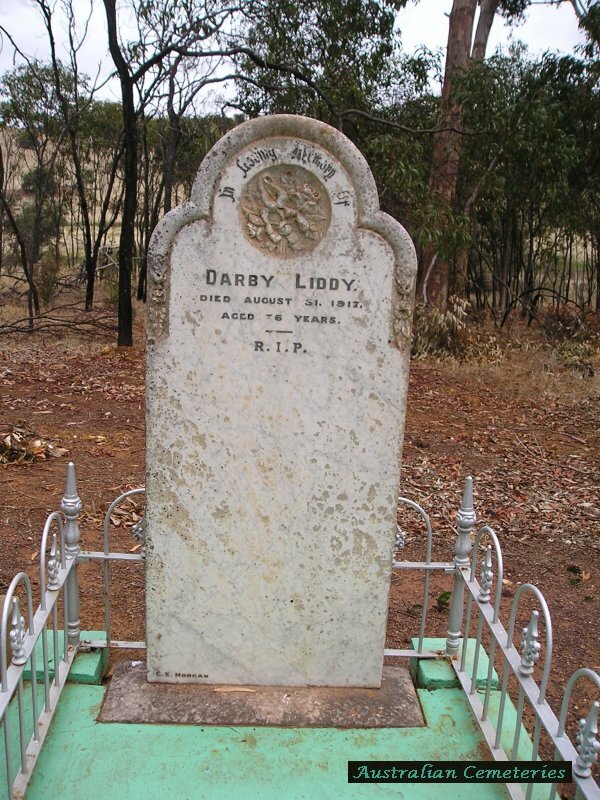 Only daughter of Rye & Clarrie LIDDY. 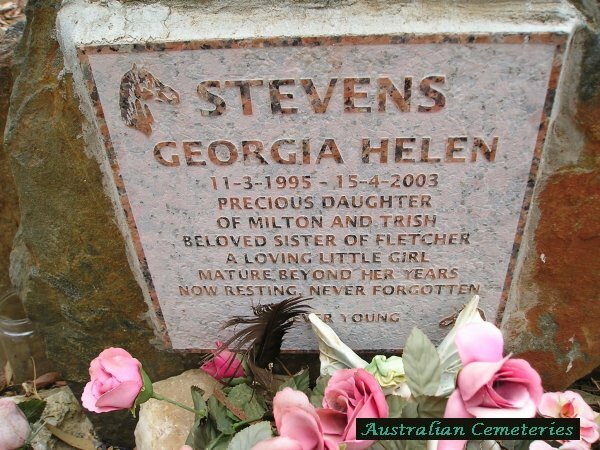 Sister of Geoffrey. 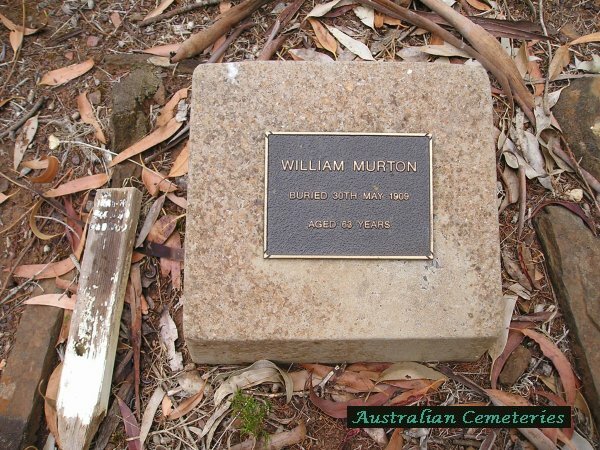 30 MURTON William [29-5-1909] 63 y Buried 30-5-1909 Died 29-5-1909, residence and place of death Hundred of Stokes. 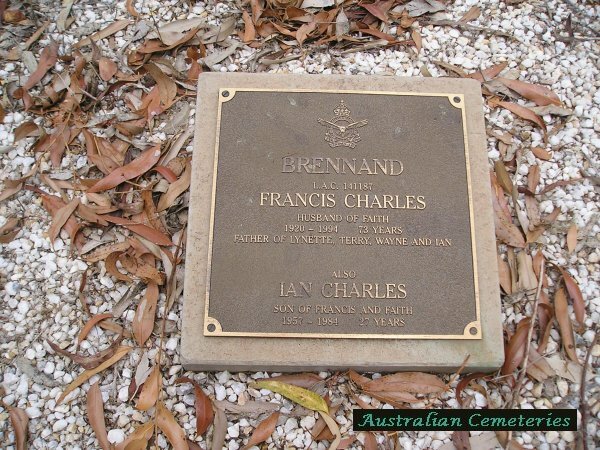 26 OLSTON Francis [Oscar] 23-1-1934 [72 y] Husband of Evangeline. 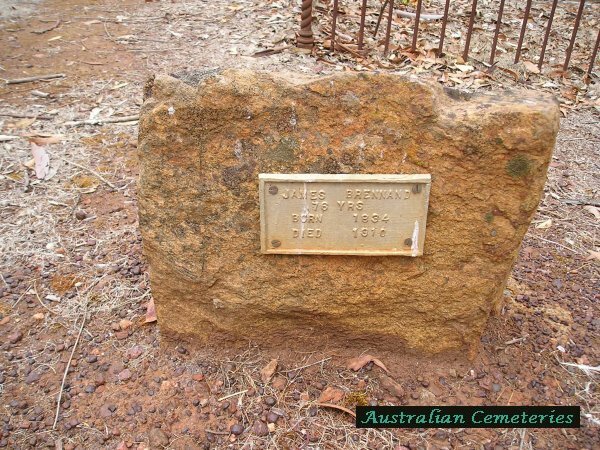 Pioneers 1902 Residence and place of death Yallunda Flat. 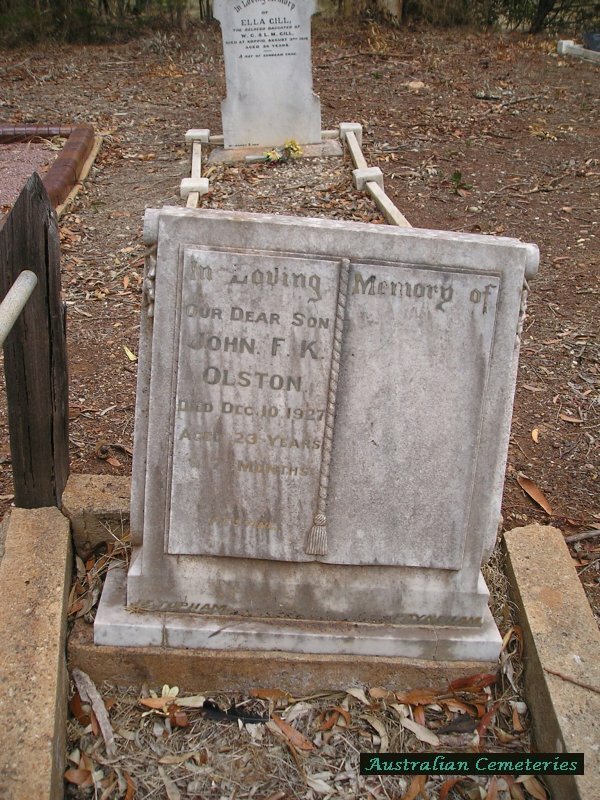 27 OLSTON John F K 10-12-1927 23 y 7 m [John Frederick Koppio OLSTON] Our Dear Son. 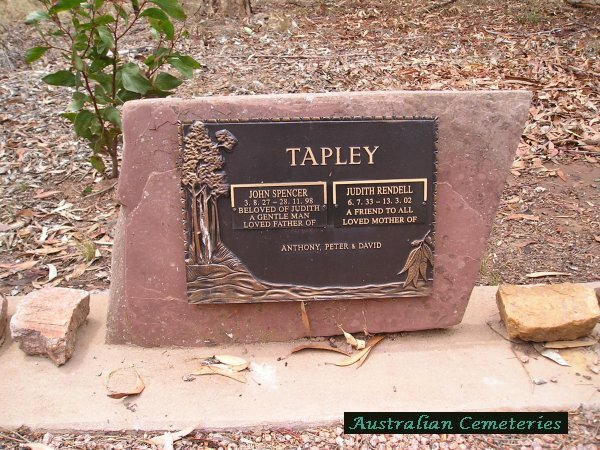 Death registered as John Frederick Koppio OLSTON, resident Lipson, place of death Yallunda Flat. 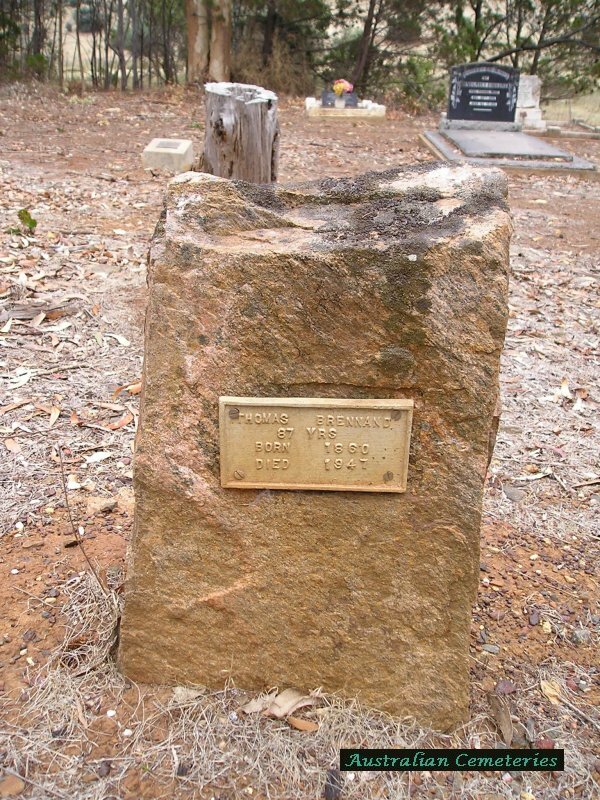 18 PORTER Frederick William 29-4-1922 Husband of Eliza Annie. Father of 13 children. 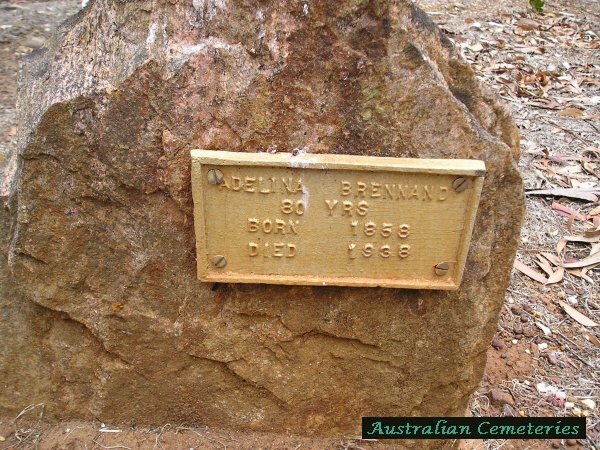 Born 13-12-1870 Death registered as 28-4-1922. 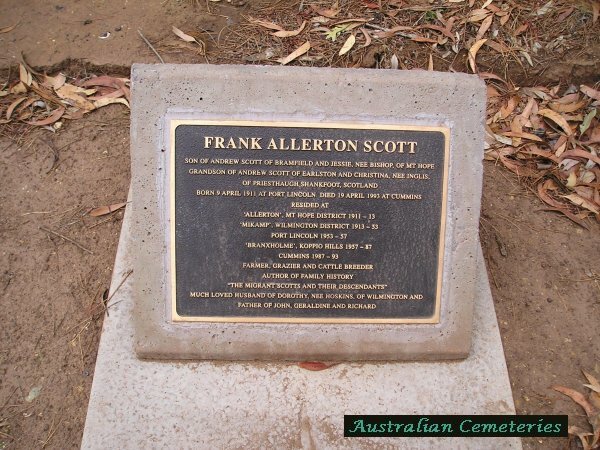 17 SCOTT Frank Allerton 19-4-1993 Son of Andrew SCOTT, Bramfield, & Jessie, nee BISHOP, of Mt Hope. 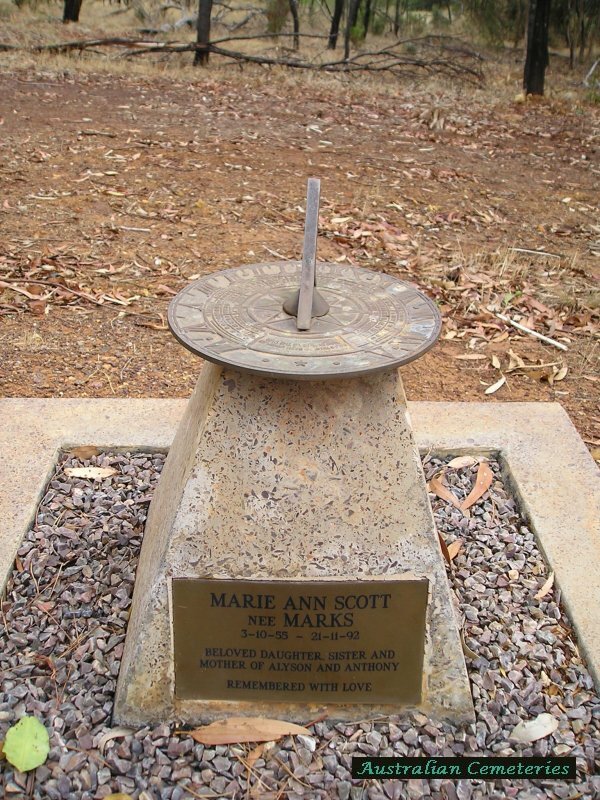 Grandson of Andrew SCOTT of Earlston & Christina, nee INGLIS of Priesthaugh Shankfoot, Scotland. Husband of Dorothy, nee HOSKINS of Wilmington. 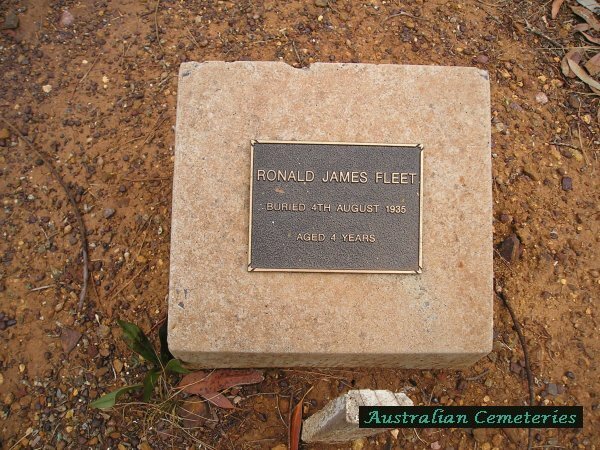 Father of John, Geraldine & Richard. 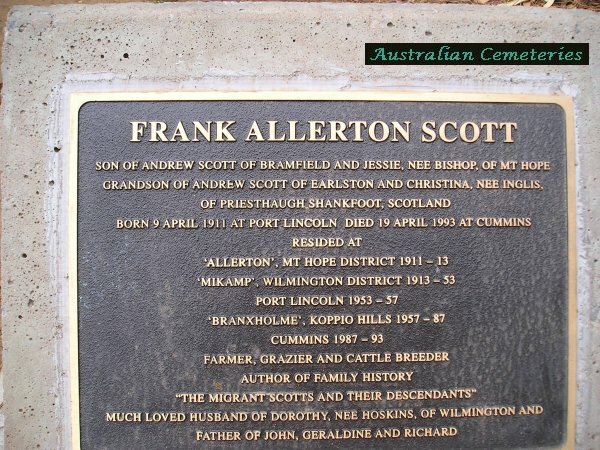 Lived 'Allerton', Mt Hope district 1911–13: 'Mikamp', Wilmington district 1913–53: Pt Lincoln 1953–57: 'Branxholme', Koppio Hills 1957–87: Cummins 1987–93. 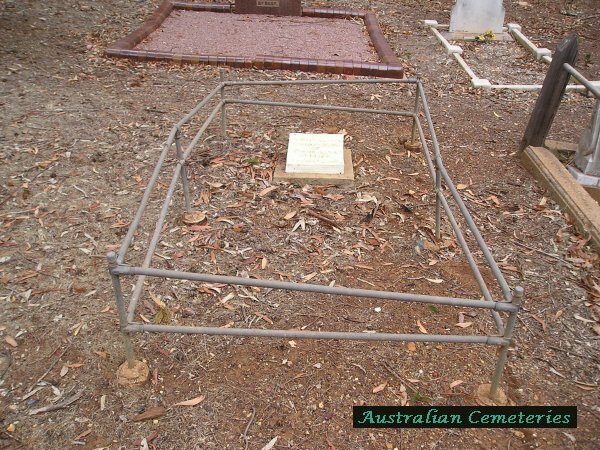 Farmer, grazier, cattle breeder. 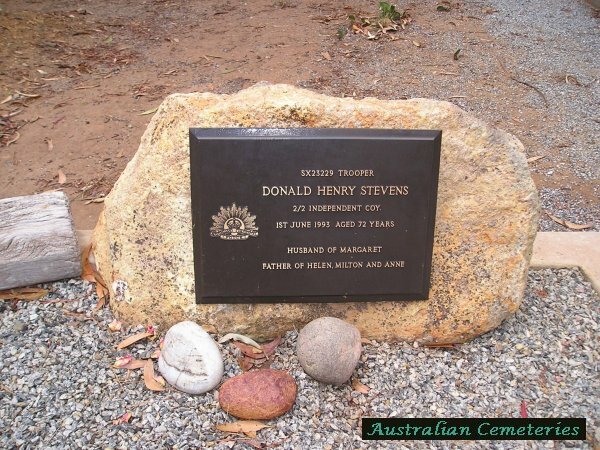 Author of family history 'The Migrant Scotts & Their Descendants'. 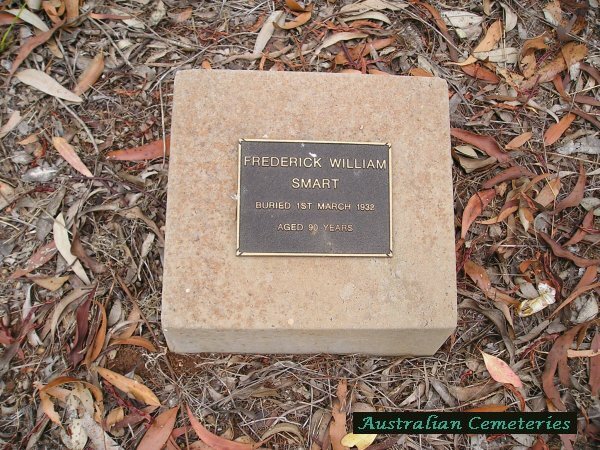 19 SMART Frederick William [29-2-1932] 90 y Buried 1-3-1932 Resident Koppio, place of death Tumby Bay. 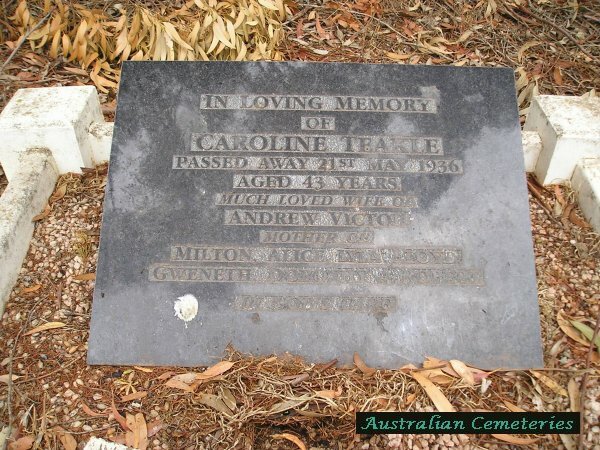 23 TEAKLE Caroline 21-5-1936 43 y Wife of Andrew Victor. 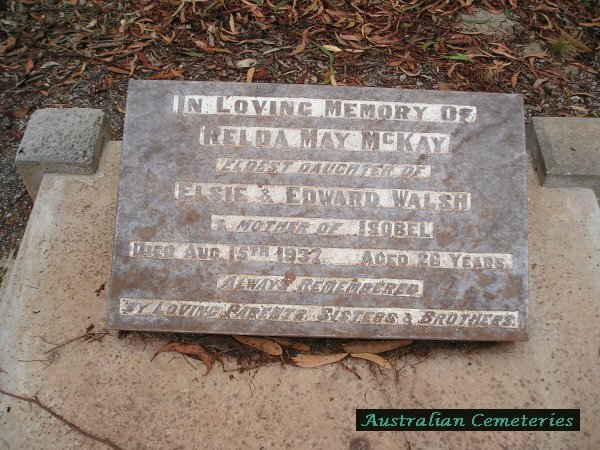 Mother of Milton, Alice, Lyla, Lloyd, Gweneth, Dorothy, Robert. 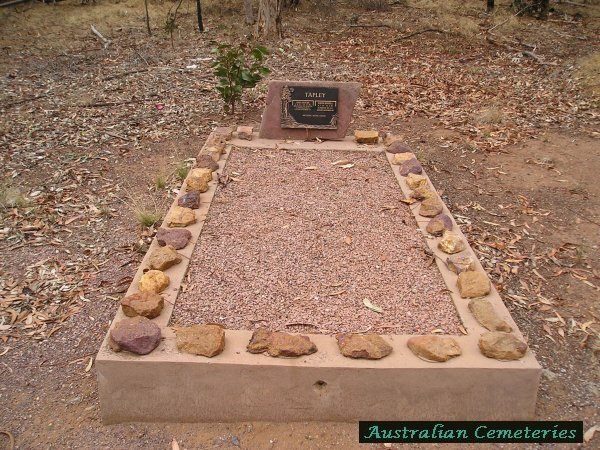 Death registered as 19-5-1936, age 44 years, resident Yallunda Flat, place of death Near Yallunda Flat. 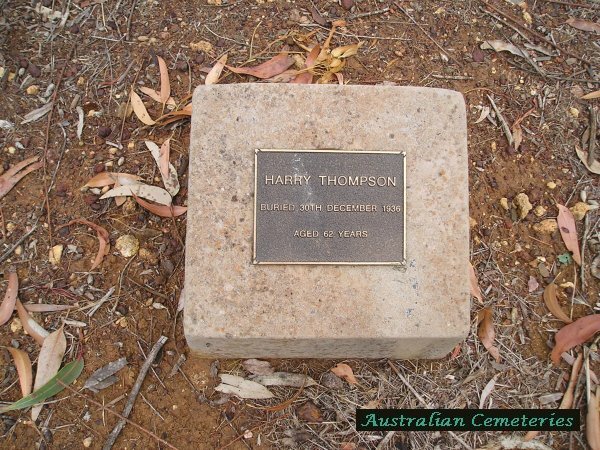 28 THOMPSON Harry [29-12-1936] 62 y Buried 30-12-1936 Age at death 59 y, resident Whites Flat, place of death Tumby Bay. 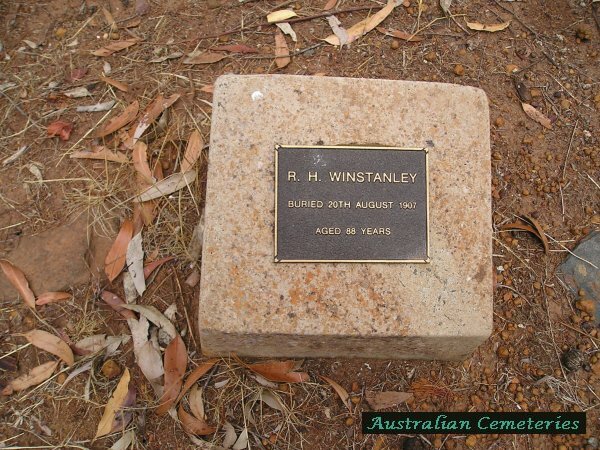 36 WINSTANLEY R H [20-8-1907] 88 y [Reuben Hennessey WINSTANLEY] Buried 20-8-1907 Died 20-8-1907, death registered as Reuben Hennessey WINSTANLEY. Certificate signed by William WINSTANLEY, son.